After a handful of teasers, Catherine Classic was finally released on PC earlier this month, and players quickly began delving around in the game’s files. Once there, they found that a free fan-made tool had been used during development from the original game’s Xbox 360 version, and was then left in the files. The use of the tool seems to have first been discovered by VictSok on Twitter, who posted an image of a readme file found in Catherine Classic’s files, which were attached to something called CriPakTools. That readme states that the tool “is based off code […] released on the Xentax forums which was further modified by Nanashi3,” and that the developer, who goes by esperknight, has since added a few of their own tweaks. Sega later confirmed the use of a tool for cross-referencing purposes during development. We spoke to the developer of CriPakTools. They say that they can’t be sure that the tool used in the game is their creation, although when we compared the text found in the readme file to the text on the tool’s GitHub repository, we found they were exactly the same. Esperknight says that they’ve had “no contact” from Sega. Esperknight says that “I never put a license on [the tool] as I didn’t want to overstep as not all the code is mine (although I did modify quite a bit and added the insertion).” Despite that statement, GitHub’s terms should still apply, potentially creating a legal grey area around Sega’s use of the tool. We approached GitHub for clarification. The website told us that despite esperknight’s comments, “it is best practice for developers who want their code to be broadly used to both apply a standard open source license that is widely understood and can be relied upon, and to make sure that any code they incorporate into their projects also has such a license.” Esperknight’s repository does not feature such a license. 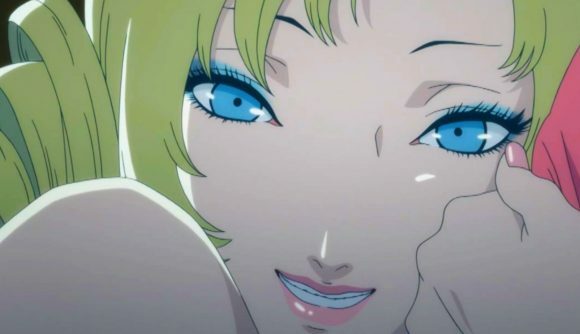 Catherine Classic seems to have been relatively well-received. In Jeremy’s hands-on with the game, he called it “unmissable,” praising its combination of an impressive puzzle game and a compelling relationship drama.